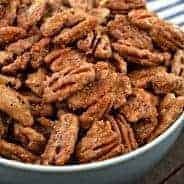 Looking for a delicious snack for game day? 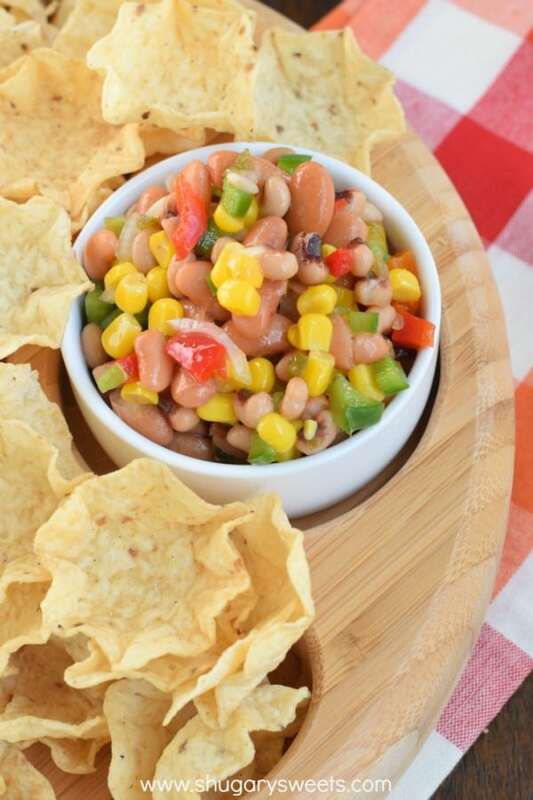 This Bean Dip is not only colorful, but packed with vitamins (okay, fine, it’s not totally healthy…but it IS good)! It does. Okay? IT DOES. It tastes amazing. 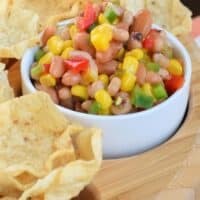 My best friend’s son (who is ELEVEN) requests this bean dip at every one of his birthday parties and special events. The first time I had it at their house, I was a little afraid. I like beans. In soup. On a burrito. But not necessarily as a dip. As the primary ingredient. Haters….let me just say this is delicious. And you won’t be able to stop at just one scoop (yes scoop…those Tostitos Scoops were made specifically for THIS recipe). One of the best parts of this recipe is it can be made in advance. And, secondly, it feeds a crowd! I’ve kept this in my fridge for up to a week, nibbling daily (it’s dangerous!). I think it would be great on a salad. Or over fish. Still have leftovers at the end of the week? Make a taco soup and toss this in (after draining the liquid). PS…How’s the healthy New Year goals? So far so good here. I have been doing pretty good, eating healthy and working out! I think it’s time for an indulgent dessert next week, yes?? Combine all the ingredients into a large bowl. Mix gently and refrigerate at least 8 hours (or overnight). 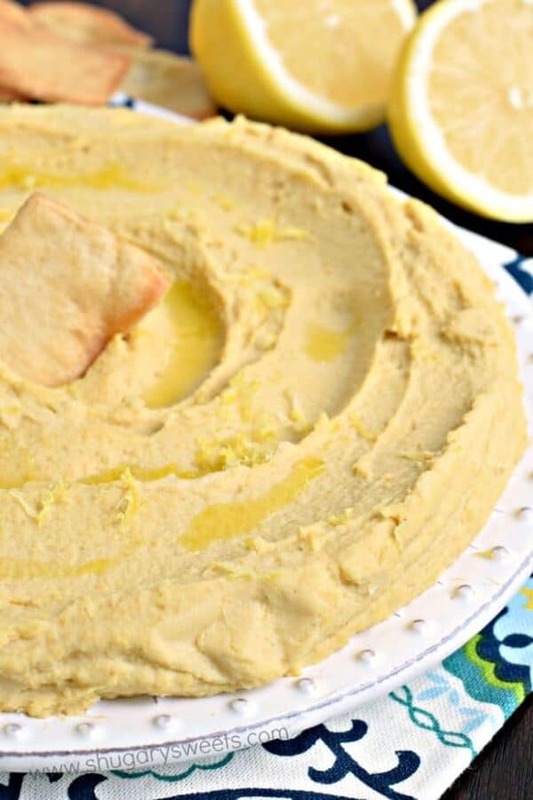 Lemon Hummus: a homemade hummus with a delicious TWIST of lemon. Don’t knock it till you try it! 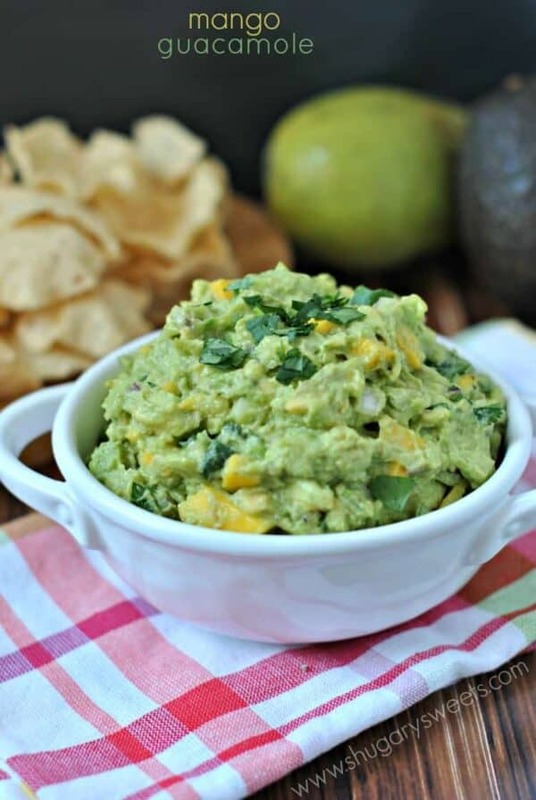 Mango Guacamole: adding in some fresh mango to this guacamole was a delicious decision! 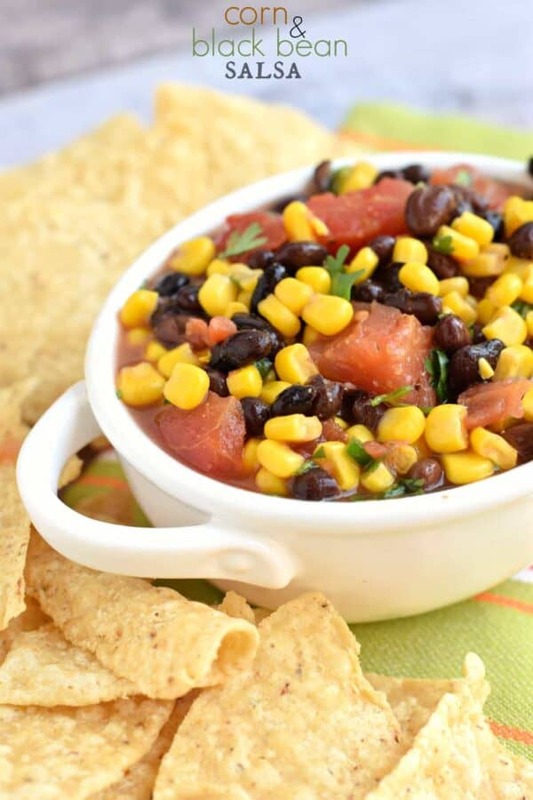 Corn and Black Bean Salsa: no need to buy the jarred stuff ever again! 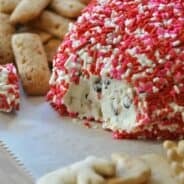 I am inspired to make this for super bowl!! I could munch on this all day and it looks MUCH healthier than my usual dips! Awesome dip Amy! I love anything with beans in it. This would be a real crowd pleaser. Especially with those awesome corn chips! I am a dip fiend and this one looks so addicting. I never thought that I’d have something in common with an 11 year old kid (other than an affinity for fart jokes), but I have to agree with your son’s bf. This is an all occasion kind of dish. Get me the chips! 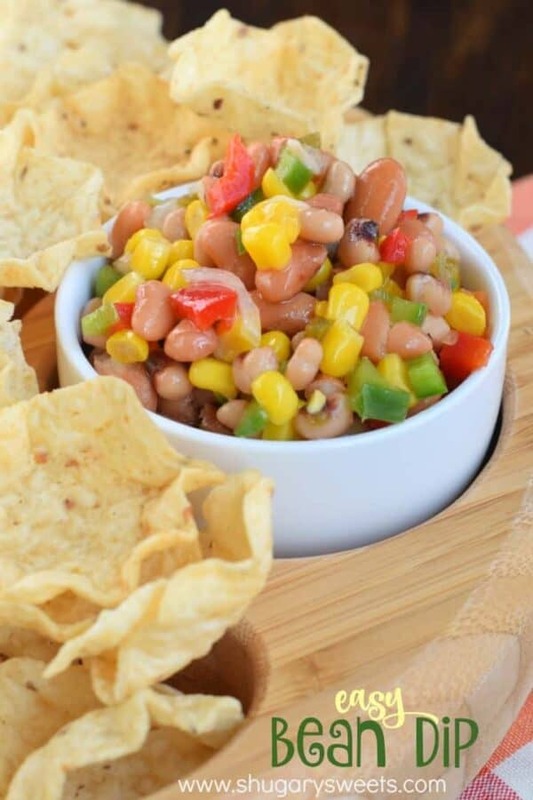 This sounds wonderful – love a good bean dip! Yum! I love pintos and blackeyes! This is definitely bookmarked already! 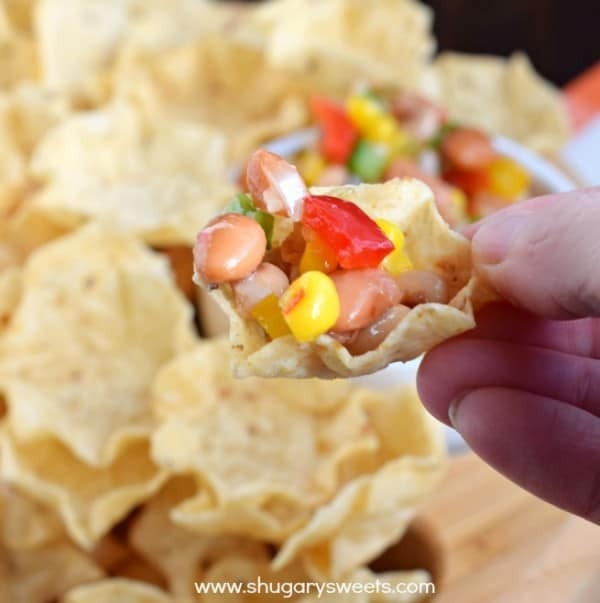 Looks like the perfect dip for Football Sunday, its almost like a bean dip/ pico de gallo mix! I would be guilty of finishing off the entire dip while everyone else was at school and work. LOL! 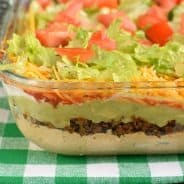 What a great and versatile dip!!! Love all the colors in it! Dips are the perfect party food! Now I’m craving a big bag of chips and this delicious recipe…yum!